Hiring farm workers can be a confusing endeavor, especially for those who are new employers. Below are a list of FAQs pertaining to hosting a farm apprentice. You can find more resources about becoming a farmer mentor in the sidebar. Our work centers mostly around the apprenticeship model of farm work. I want to start an apprenticeship program on my farm. How do I do it? There are many ways to set up work programs on your farm, so we cannot give you a one-size-fits-all approach. Consider what are your needs in terms of labor, and then also consider what you have to offer in exchange. Do you plan to provide room and board? A wage or stipend? Dedicated training or the opportunity for workers to access additional training (via CRAFT or other means)? It is important for a successful apprenticeship to be a reciprocal relationship, so don’t set about getting started just because you need an extra hand around the farm. Once you’ve figured out your needs (in terms of hours/week or weeks/season) and how you might be able to compensate, feel free to contact OGS if you want advice on a typical set-up for farms with comparable situations to yours. Be sure to check out our Adding Value to Apprenticeships resource page. What makes Apprentice Link different from other farm apprenticeship listings? The OGS Farm Network and Apprentice Link are run by Organic Growers School, a 501c3 nonprofit working to build a mutually supportive network of prosperous farmers, productive gardeners, and informed consumers engaged in creating healthy communities. The farms associated with Apprentice Link are a thread in this network. To be included in these listings, Organic Growers’ School has vetted each farm to determine that they are 1) actively engaged in the local community; 2) using organic and/or sustainable production methods (certifications aren’t required, but we do ask that farms and farmers are “in-the-know” and conscientiously practicing organic standards); and 3) dedicated to training new farmers by providing education as an element of their apprenticeship program. 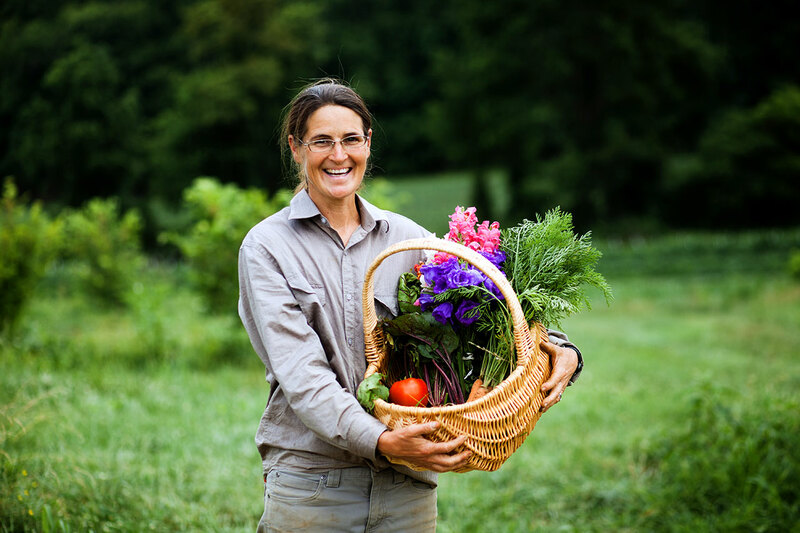 Apprentice Link highlights farmers that are part of the WNC CRAFT Farmer Network which illustrates the farms’ dedication to new farmer education. As a CRAFT member, you have access to resources such as the CRAFT Handbook (articles written about challenges and approaches to farming specific to the Southeast) and the CRAFT farmer network (a monthly social event organized around farm tours, intern education, and good food). Although not all farms listed are necessarily Certified Organic, all are focused on “sustainably-minded” farming practices and often adhere to most (if not all) organic standards. We have also incorporated a review element into our database that works to take previous apprentice experience into account. All reviews written were reported by apprentice or employee “references” that were provided by the farm through their application. We believe this element of our database furthers community accountability and will help provide applicants with resources to help them make an informed decision when accepting farm positions. Interested in being listed? Please visit the Farm Application Page to get started. What are some good resources on working with apprentices/managing labor on the farm? Hiring and managing farm workers and apprentices can be a confusing endeavor, especially for those who are new employers. Organic Growers School provides resources on continuing farm worker education, as well as resources on best management practices in order for your farm and your farms apprentices get the most out of employment. We also have a list of additional labor resources for consideration, including mentorship resources and other databases (both national and international) to find workers. Please contact us with specific questions at farmer-programs@organicgrowersschool.org. How much do I need to pay my farm workers? Many factors will determine what you will need to pay workers. If your farm does not qualify for any exemptions, you will need to pay minimum wage ($7.25), or it’s equivalent. However, many small farms do qualify for exemptions to minimum wage and overtime laws. Consider also that you may count “in-kind” wages such as room and board toward your workers’ pay. Consult OGS’ resource Structuring Labor on the Small Farm for more information about these exemptions. Often farms offer stipends for seasonal apprentices as opposed to hourly wages. Keep in mind that if you’re looking for experienced workers, you may want to offer more pay than you would offer those with no experience. Like any field, experienced farm workers may be worth setting up a “compensation-based-on-experience” sliding salary scale. Do I have to provide on-farm housing to apprentices? No. Many farms employ commuter apprentices, and some farm workers prefer to live off-farm. Do consider how the availability of housing will affect adequate compensation, though. For example, if you are expecting someone to commute to your farm to work, and your farm is located in a remote area, you may consider providing higher compensation to accommodate travel. If housing is provided on the farm, you may include this as a form of in-kind wages. Read more about deductions and tax exemptions in our Structuring Labor on the Small Farm resource page. Are my workers considered employees or contractors? While it is common for farmers to hire apprentices as contractors, it is seldom correct. Independent contractors are classified according to many criteria, including (but not limited to) their ability to work without training, use of their own tools, and with little oversight by a supervisor. This rarely applies in a situation of farmers overseeing apprentices. Penalties for classifying workers incorrectly can be steep, so it behooves farmers to go to the extra trouble of setting up correct employee payroll and record keeping systems from the get-go. Read more about this on our Structuring Labor on the Small Farm resource page. Unless you are working with H-2A employees or migrant farm labor contractors, you most likely need to classify your workers as employees. To read about getting yourself set up as an employer, check out the U.S. Small Business Administration’s Hire and Manage Employees page. What is the maximum salary or wage threshold that I can pay apprentices before I must deduct taxes from their paychecks? This depends entirely on the worker. You will need to consult the tax tables provided by the IRS to determine the answer to this question. It is true, however, that certain workers’ (due to the total amount they are paid and the number of deductions they claim on their W-4) wages will not be subject to income tax withholding. Keep in mind that all wages you pay above $150 are subject to Social Security and Medicare withholding. Download a helpful payroll spreadsheet that will assist you in calculating proper withholding for each paycheck. If I hire a worker and it doesn’t work out, do I still have to report their income, even if I only employed them for a short period of time? Technically you do not need to report income under $150. This allows you to hire people on a trial basis if you think such a situation is called for. Persons paid in excess of $150 before they are excused should be reported as employees of your farm. Can I ask about physical or mental disabilities when hiring farm workers? What do I need to know about the Americans with Disabilities Act? It’s important that people with disabilities have an equal opportunity to apply for a serve in jobs for which they’re qualified. As an employer, you cannot refuse to hire or terminate an individual’s employment because of their disability alone if the essential job duties can be performed. Questions you can ask to make sure the qualifications for the job are met include whether or not individuals have the correct skills for the position and whether they can satisfy the described job requirements. It is reasonable for an individual with disabilities to request an employer to make reasonable accommodations in order to assist in job performance. As an example, these sorts of accommodations could include permitting someone with low blood sugar to take a series of short breaks over the course of the day, or making your farm more physically accessible. Where can I get the appropriate tax forms for workers to complete? You can order W2, W4, I9, and other tax forms from IRS.gov. More information on how to use these forms can be found on our Structuring Labor on the Small Farm resource page. It helps to go ahead and order your forms for the coming tax year when you file your taxes. This way you have the proper forms ready when you start hiring workers for the next season. Check out our labor legal glossary to help cross reference definitions of terms commonly found in tax forms. Are we missing any pressing questions you have? Feel free to contact us directly at farmer-programs@organicgrowersschool.org.